Antimachos I was a Baktrian King who is believed to have ruled from ca. 185-170 BC. He was either defeated during his resistance to the usurper Eucratides, or his main territory was absorbed by the latter upon his death. 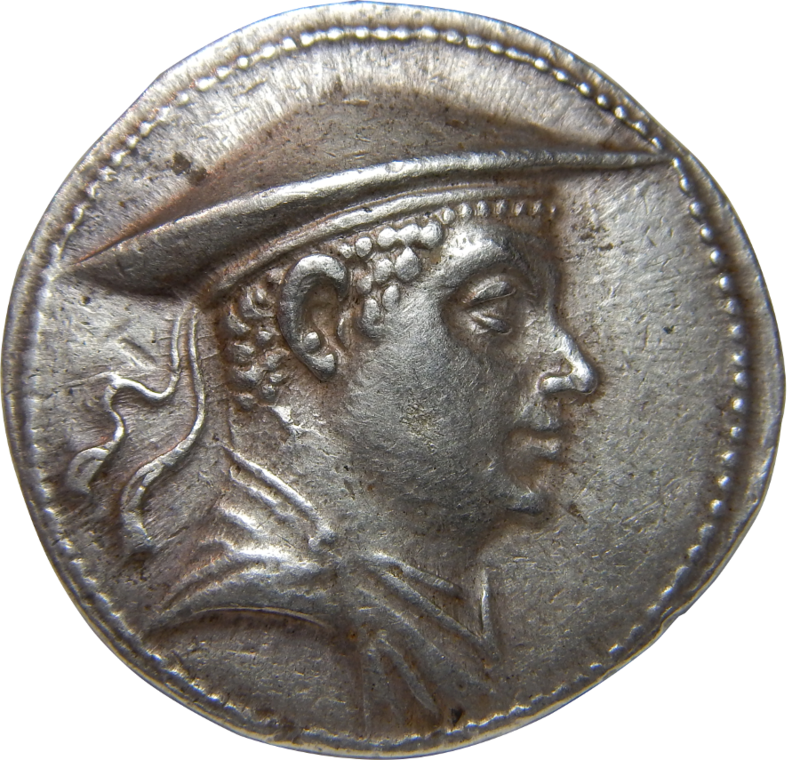 Antimachus I issued numerous silver coins on the Attic standard, with his own image in a flat Macedonian kausia hat, and on the reverse Poseidon with his trident.